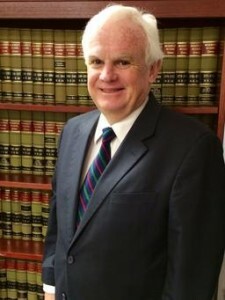 Attorney Frank Reardon has for over 10 years provided ADR services to lawyers and their clients. As a trial lawyer, Frank brings more than 35 years of experience representing malpractice insurers, self-insurers, health care providers, PPOs, doctors and groups. Frank’s focus is on health care issues, medical malpractice claims, doctor group employment and contract disputes, insurance matters claims. Experience: Decades of experience preparing, trying and settling civil cases for hospitals, doctors, medical groups, insurers and defendants. Many reported cases before the appellate courts. Frank’s keys to guiding parties to settlement include his decades of practical experience and his sharp knowledge of the underlying medical and medical-legal issues. “Top Lawyer in San Diego” – Highest in Ethical Standards & Professional Excellence. Professional History: Trial lawyer representing insurers and claimants in real estate, construction, professional, employment, tort and insurance cases since 1973. Bar Admissions: Admitted to the Massachusetts and Rhode Island Bars, the United States Supreme Court, the United States District Courts for the District of Massachusetts and the United States Court of Appeals for the First Circuit. Professional Associations: American Bar Association; American Health Lawyers Association; Massachusetts Bar Association (Health Section Council); Boston Bar Association; Defense Research Institute; Massachusetts Defense Lawyers Association; Formerly member of the following: Defense Research Institute; International Association of Defense Counsel; Norfolk Bar Association; Metro West Bar Association; American Association for Justice; and the Massachusetts Academy of Trial Attorneys. Education: College of the Holy Cross AB,XXXXXXXX, 19XX; Suffolk Law School, JD, 19XX; Harvard University, School of Public Health, MS .Health Care Administration, 19XX. Publications, Appellate Experience and Speaking Engagements: Speaker and Chair at various seminars, programs and presentations at health care and other professional meetings and conferences. Frank has been a member of the Institutional Ethics Committee of the Brigham and Women’s Hospital, Inc. and Children’s Hospital Boston. Mr. Reardon has served as an editor of Forum, the monthly newsletter of the Risk Management Foundation of the Harvard Medical Institutions, and as legal editor for “Resources” (monthly audio news cassettes of the Risk Management Foundation). Mr. Reardon has lectured and co-authored a number of articles and book chapters on medical legal issues.